Environment Secretary Owen Paterson said yesterday that the failure to reach badger cull targets was due to the creatures’ propensity to move about, and hide underground, rather than sit very still in the open for 12 hours at a time waiting to be shot. “It’s most unfair to blame us” said Paterson. 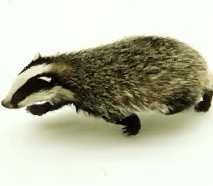 “The government cannot be held responsible for the unsporting behaviour of badgers.